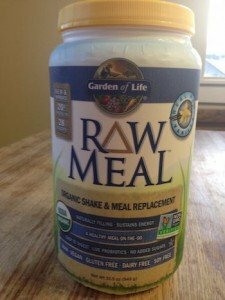 A Salmonella outbreak linked to Garden of Life Raw Meal Replacement and Shake mix has ended after sickening 33 people in 23 states, according to the Centers for Disease Control and Prevention (CDC). Six people were hospitalized. Garden of Life issued a recall on January 29, 2016 and expanded on February 12, 2016. The recall included chocolate, original, vanilla, and vanilla chai flavors. The expanded recall was issued after the U.S. Food and Drug Administration (FDA) confirmed the presence of the outbreak strain of Salmonella Virchow in Organic Moringa Leaf powder used in RAW Meal Organic Shake & Meal Replacement products. Salmonella can cause an infection in the intestinal tract called salmonellosis. Symptoms, which include nausea, abdominal cramps and diarrhea that can be bloody, usually develop within six to 72 hours of exposure. Public health officials from the Utah Public Health Laboratory and the Oklahoma Public Health Laboratory isolated the outbreak strain of Salmonella Virchow from open containers of Garden of Life RAW Meal collected from the homes of case patients. Both products tested were from recalled lots. Case were reported from December 5, 2015 to March 18, 2016 in the following 33 states: Alabama (1), California (2), Florida (1), Hawaii (1), Massachusetts (1), Maryland (2), Michigan (1), Minnesota (3), New Jersey (2), New Mexico (1), New York (1), North Carolina (2), Ohio (2), Pennsylvania (1), Oklahoma (1), Oregon (1), Rhode Island (1), Tennessee (1), Texas (2), Utah (3), Wisconsin (1) and West Virginia (1). Public health officials interviewed 30 of those sickened, 28 reported consuming the supplement before they became ill. Fifty-three percent of case patients, who ranged in age from less than 1 year to 84, were female. Although the outbreak is over, the CDC cautions consumers to check product recall information for any product they may have at home since these products have a long shelf life.